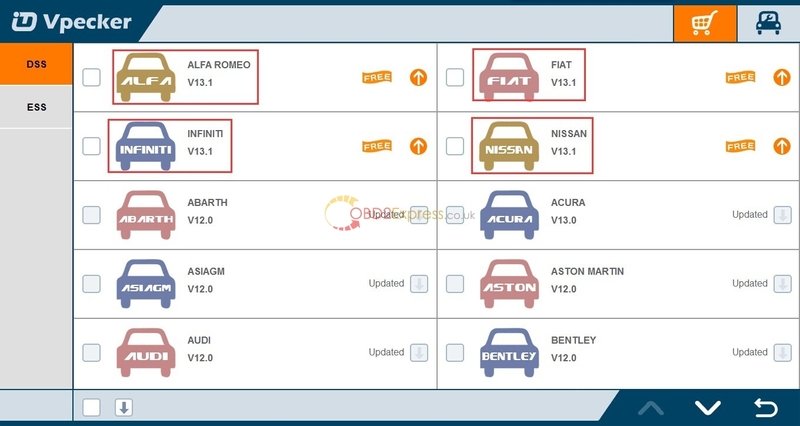 VPECKER EasyDiag wireless diagnostic tool 6.7 has been released at obd2express. This is all for the newest VPECKER EasyDiag. Supporting 25 languages: including English, Italian, Japanese, German, Russian, French, Spanish, Portuguese, Polish,Turkish, Dutch, Hungarian, Korean, Czech, Arabic, Indonesian, Persian, Thai, Vietnamese, Finnish, Swedish, Romanian, Bosnian, Chinese (Simplified), English, Chinese (Traditional), etc. 1) Please save your account ID and Password , because you will be asked to enter these info after upgrade.